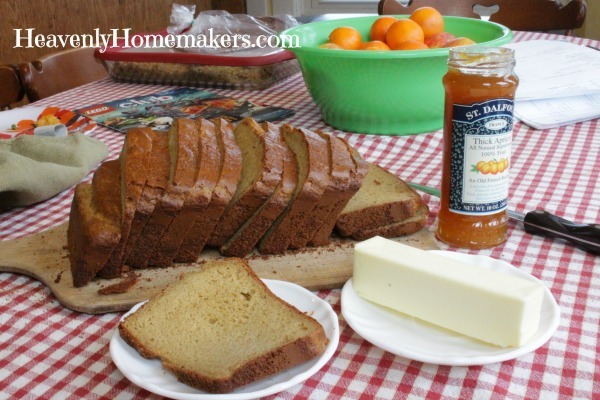 The day my Whole Wheat Stir-and-Pour Bread turned into this Stir-and-Pour Honey Oat Bread is the day I discovered that my family is spoiled. Hear me out. My kids and my husband are incredible, fabulous, and godly. They are kind, gentle, and they amaze me on a daily basis. 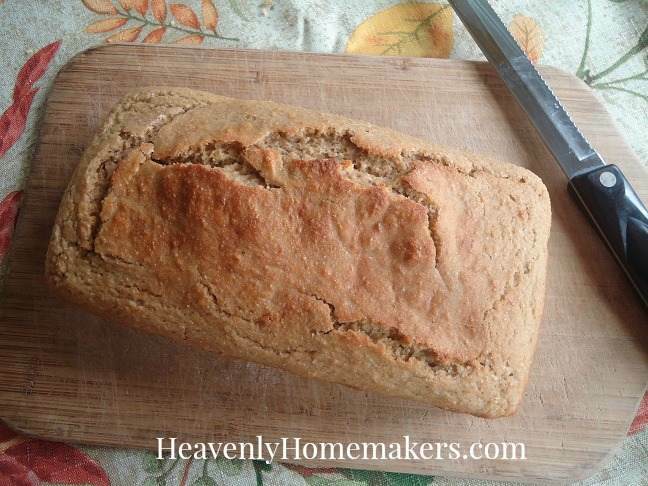 But the day I made this Honey Oat Bread for the first time, they did not blink. They did not flinch. They did not leap off the couch and run to the kitchen the very moment they smelled the deliciousness of homemade bread wafting into the living room. They did not praise me. They did not admire me. There were no tears of joy in their eyes. Hmmfff. I remember once when my kids were little and I told them, “I’m going to give you a special treat this afternoon!” Their eyes lit up with excitement…until later that day when I presented them with a plate of homemade cookies. They saw the “treat” and they were like, “oh.” I mean, they ate them and they loved them. But homemade cookies? Special? We ate those last Thursday. Now boxed cookies from the store? Now THAT’S a treat. Whatever my dudes. And so it is with this Honey Oat Bread. 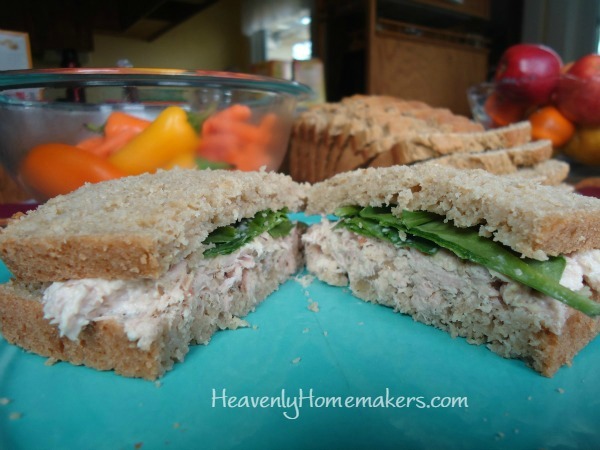 Because of this recipe, your family can be spoiled too! They can become the ones that are so used to eating homemade bread that they no longer realize how amazing it is to be treated with such goodness! Why? Because anyone in the world can make this bread. It requires measuring, dumping, stirring, pouring, and that’s it. Do no work. Make no mess. Smell homemade bread. Eat homemade bread. Cry tears of joy. Or just sit there unphased, eating fresh, delicious bread because it is, after all, just another average Monday. 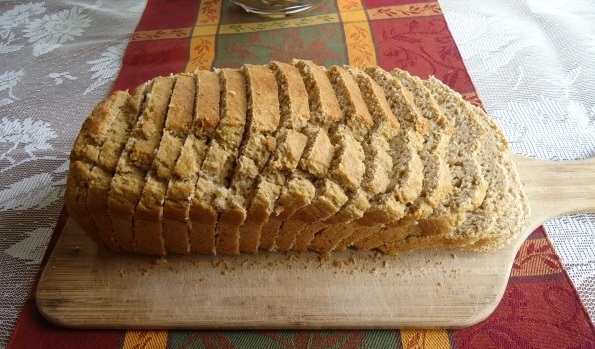 It is very worth noting that one of our college-aged sons (who no longer lives at home or eats much homemade food) came home for a haircut on a day I had made homemade bread. His face lit up, and he exclaimed joyfully over the bread on the cutting board. Rest assured, he was sent back to the dorm with a bag of sliced homemade bread and a butter knife. 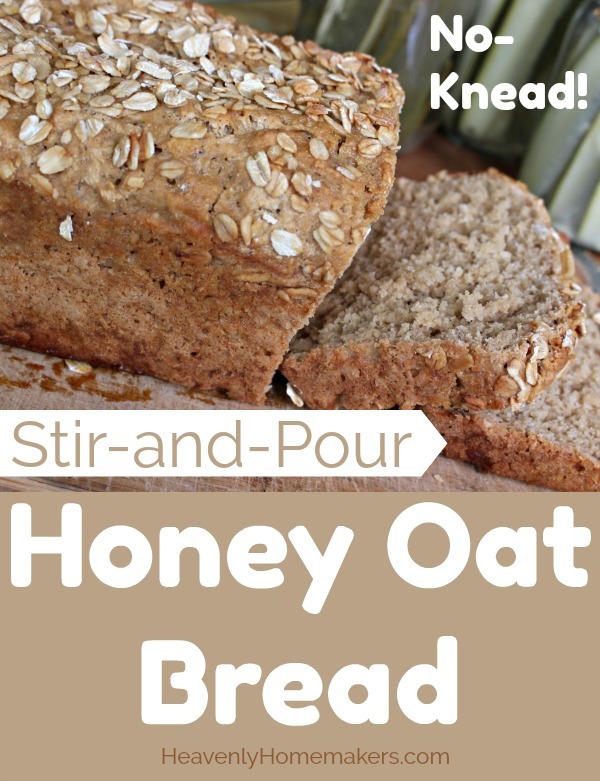 So make this amazing Stir-and-Pour Oat and Honey Bread. It’s easier to make this bread than it is to go to the store to buy bread. True story. Disclaimer: No children are actually spoiled in the making of this bread. Once upon a time I came across a recipe and thought, “Really? 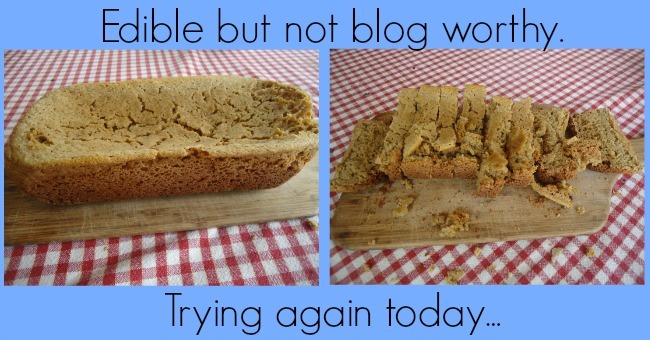 Could it be?” So I blended together peanut butter, honey, eggs, baking soda, and vinegar and made actual bread. It looked like bread and tasted like bread and I was amazed that indeed, it was bread. I was very, very happy. The end. So what if I already took a bite out of this piece before I took the picture. Be very, very shocked and amazed with me. We can make actual bread that has no grain, no gluten, and no dairy. The bread tastes delicious and had a wonderful texture! 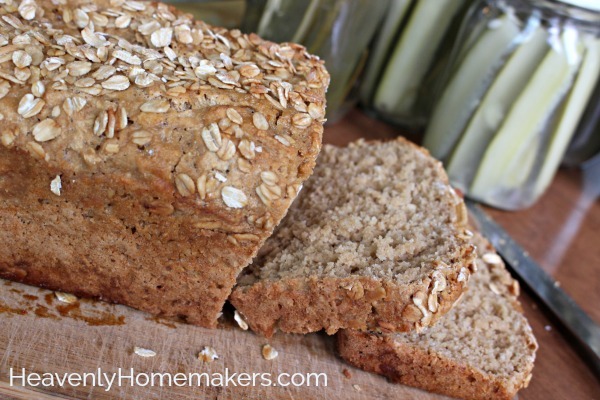 It’s as simple as this Whole Wheat Stir-and-Pour Bread because just like that recipe, we simply stir together the ingredients and pour them into a baking pan. It’s ridiculously easy. Plus, we add vinegar and baking soda to the mixture, so we get to make a volcano. Who says baking isn’t fun? I decided to take a chance on this bread recipe though, because of this: I wanted to spread butter on something I could eat. (Regular bread isn’t cooperating with me right now.) I also loved the idea of this bread being chuck full of protein. Peanut butter and eggs? Maybe, just maybe, I could fill the hollow places in my sons’ legs. 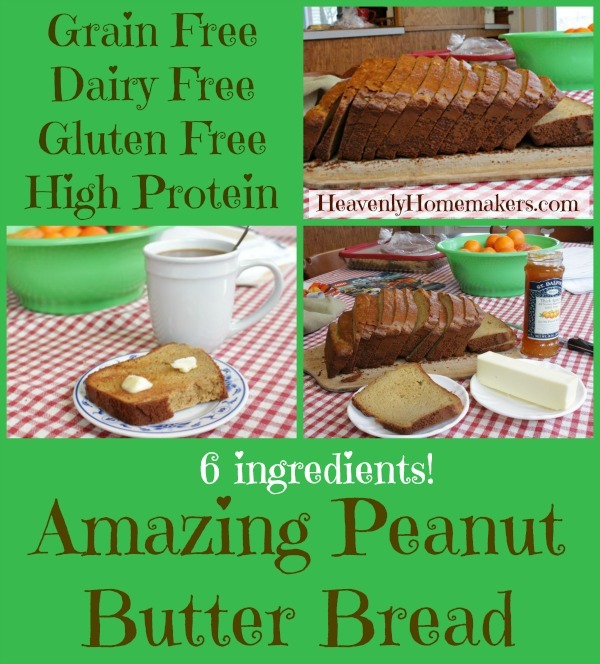 Worried that the taste of peanut butter will overpower the bread? It has a surprisingly mild flavor. In fact, we were all wishing it tasted more peanut-buttery. Either way, just imagine how good this is with butter, jelly, or honey. I prefer it toasted with lots of butter. This probably doesn’t surprise you. Mix all ingredients together in a blender or with a hand mixer. Pour into a well-greased 9x5" loaf pan. Bake in a 350 degree oven for 45-50 minutes or until a toothpick inserted into the bread comes out clean. Allow the bread to sit in the pan for about 10 minutes to cool. Remove bread from pan and cool on a rack. Here’s my homemade peanut butter recipe. After seeing the ingredient list, you might be thinking, “Isn’t this bread kind of expensive?” Sure. It costs more than wheat flour bread. But I think it’s actually saving me money because on mornings I serve it for breakfast, my sons don’t ask for meat. They are full after two slices. Did we ever think we’d see the day? 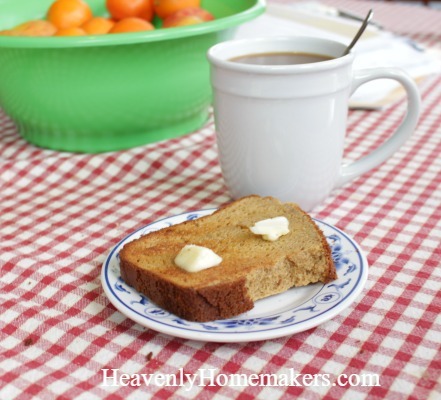 No matter your diet restrictions or lack thereof, I’d love to convince you to make this Peanut Butter Bread. What do you have to lose? Five minutes? Ever tried a recipe with weird ingredients that turned out…weird? Do share. I promise this one will pleasantly surprise you! Let us not miss the irony of the timing of this post. As you know, I currently have no oven. 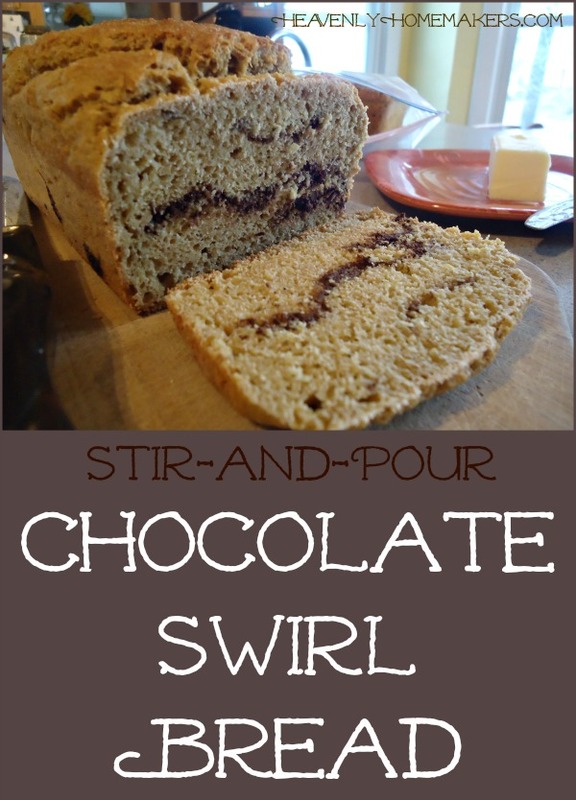 As great as this Stir-and-Pour Chocolate Swirl Bread recipe is, I cannot bake any right now. I made this last week before my oven died and I’m just now getting around to posting about it. 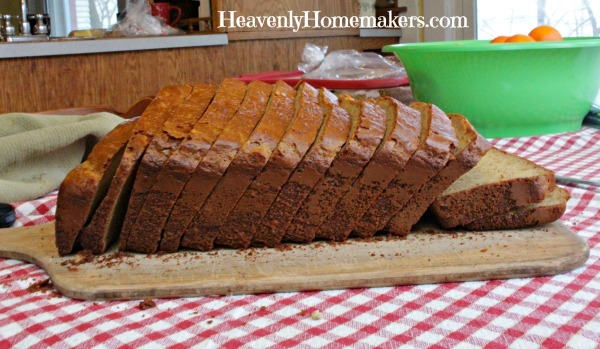 But moving on to share how to bake this Stir-and-Pour Chocolate Swirl Bread in an actual oven. 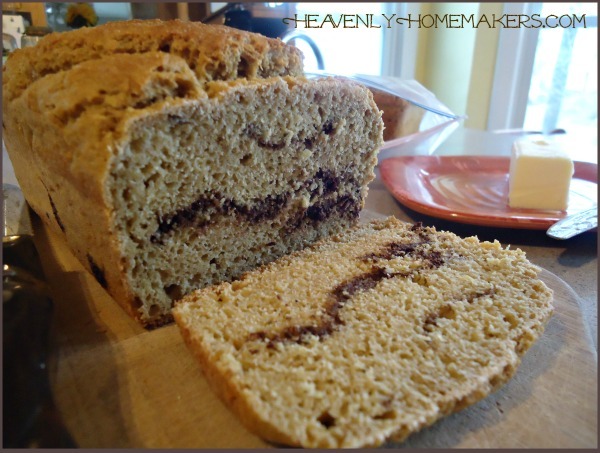 This is made in a similar way to the Stir-and-Pour Cinnamon Swirl Bread. Seeing as we don’t have to knead this bread (hallelujah!) it’s a bit hard to actually roll this out and make lovely swirls. I simply layered this bread. I put one-third of the dough into the pan, then spread on 1/2 of the chocolate layer. Then I spread in another third of the bread dough, and spread on the remaining half of the chocolate. Finish by spreading on the last of the bread dough. Bake. Slice. Eat. Appreciate the fact that you have an oven. Amen. Stir together flour, yeast, sucanat, salt, and water. In a small saucepan, cook and stir together the honey, cocoa, and water until smooth. Pour ? 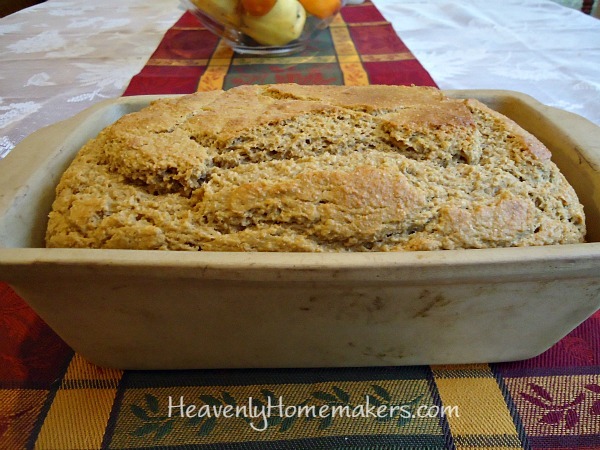 of the mixture into a well-buttered loaf pan. Spread ½ of the chocolate mixture over the dough. Spread another ? of the dough over the chocolate layer. Sprinkle remaining ½ of the chocolate mixture over the dough. Spread remaining dough over the top. 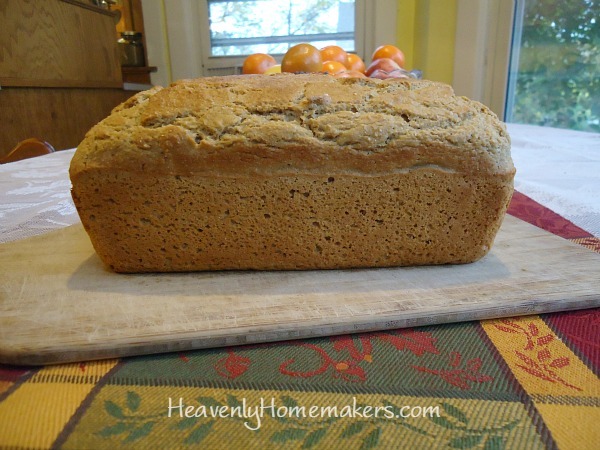 Raise your hand if you love this Stir-and-Pour Bread and all the greatness it offers!! 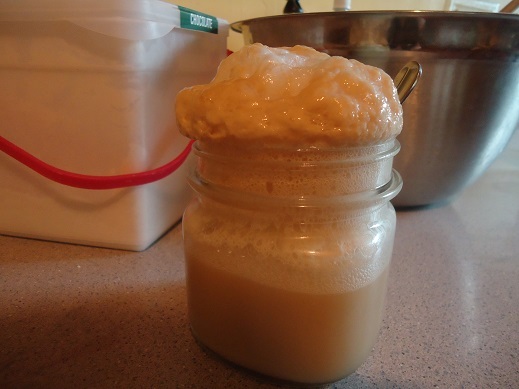 Recently when I was making a batch of Honey Whole Wheat Bread, I mixed the yeast, water, and honey in a jar. Then I walked away and got distracted by any number of activities that may have included helping to solve a math problem, answering a knock on the door, or switching a load of laundry. Oh yeah, ya think? Sure enough, I do believe that mixture is alive and active and ready to be added to the rest of the bread ingredients. As you can imagine, my bread dough rose really well that day. I do believe I will forget I’m baking bread more often.